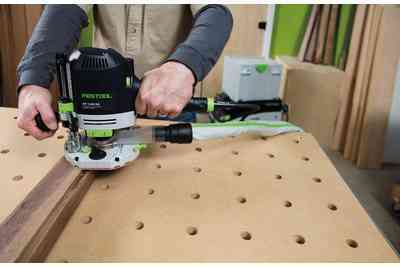 With 1400 watts and MMC electronic controls, the OF 1400 is a mid-sized router with enough power to tackle even your largest projects. 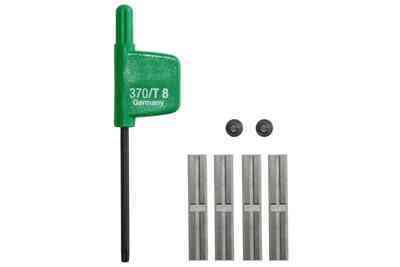 One wrench bit changes with ratcheting action for faster and easier bit changes. 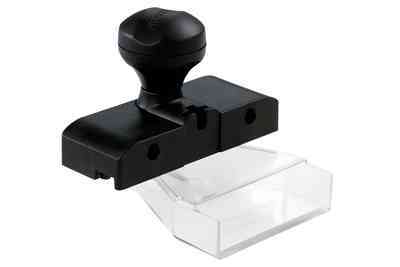 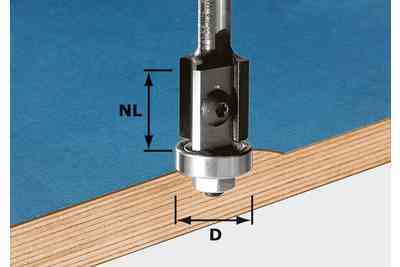 One knob locks the plunge depth securely, for less motor to plate deflection. 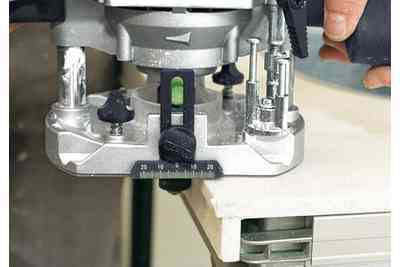 Micro-adjustability to 1/256" (1/10 mm) with detents for each 1/10 mm. 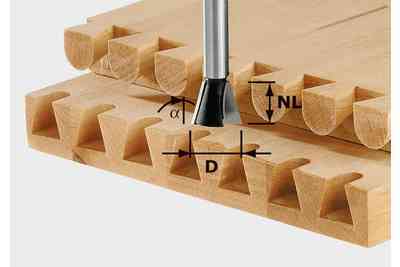 Included chip deflector can be used with edge forming bits, maximizing chip and dust extraction even around curves and corners. 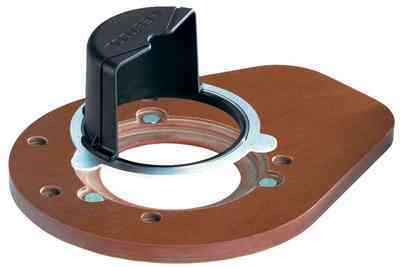 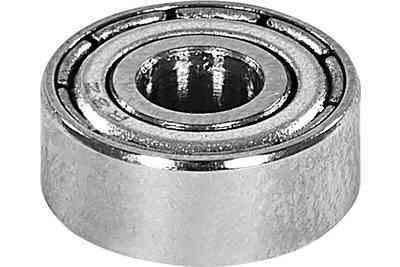 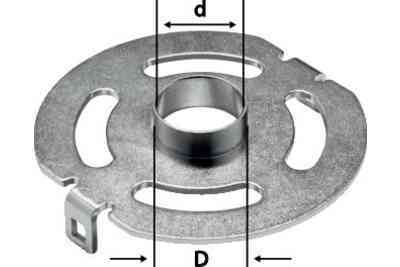 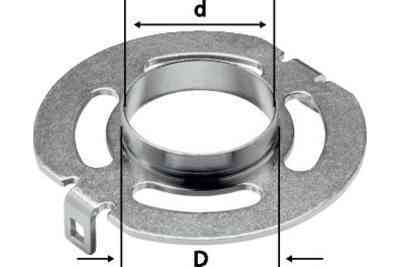 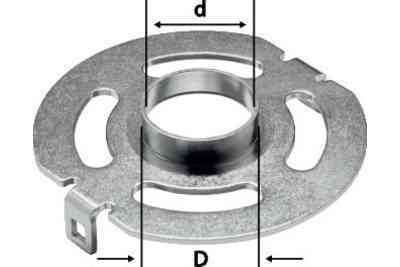 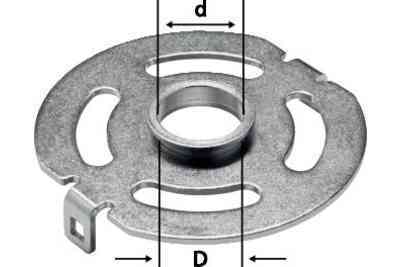 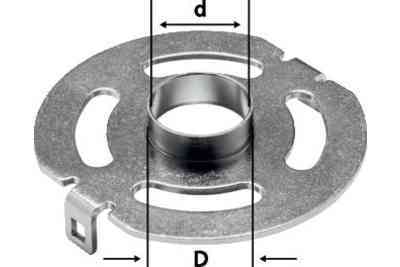 Template guide bushings are self-centering and can be inserted tool-free. 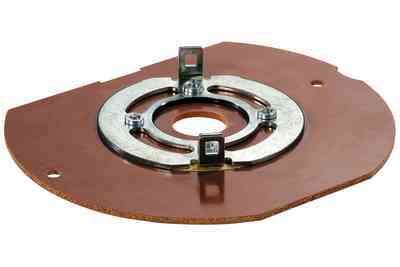 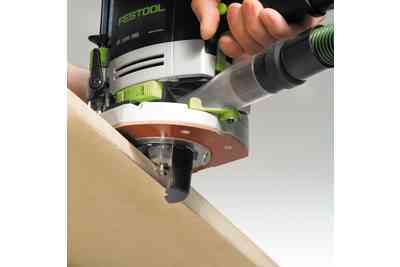 The swiveling chip deflector can also be attached and removed without tools. 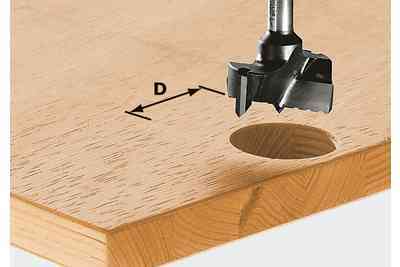 Enhanced depth is especially useful when routing on top of a template. 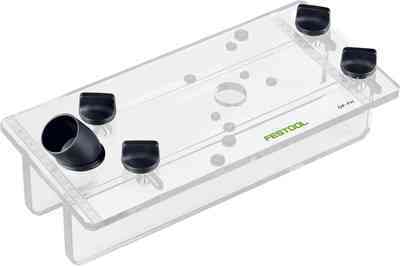 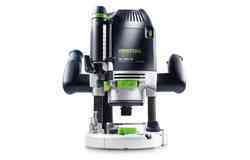 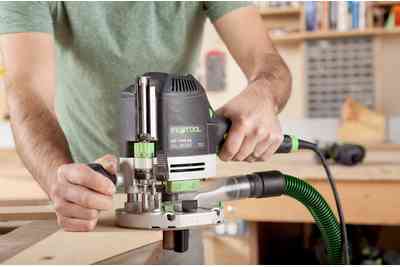 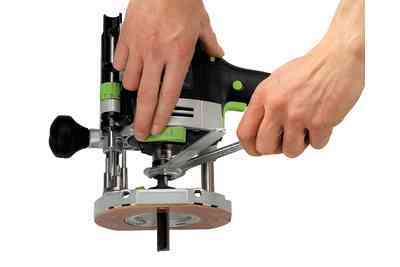 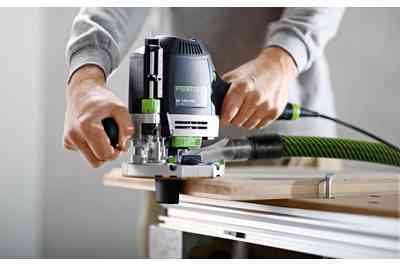 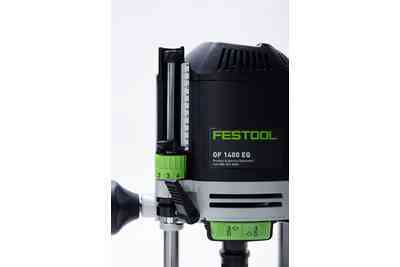 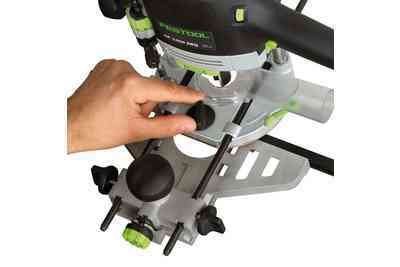 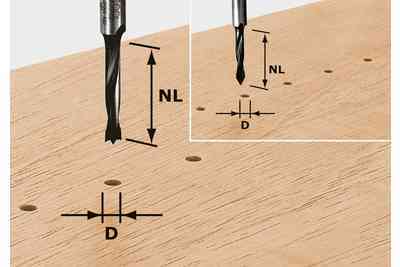 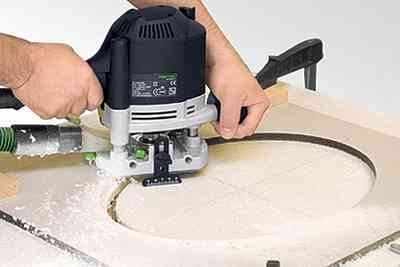 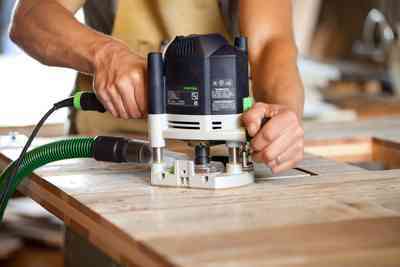 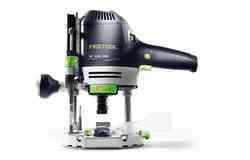 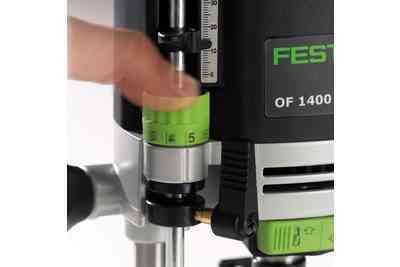 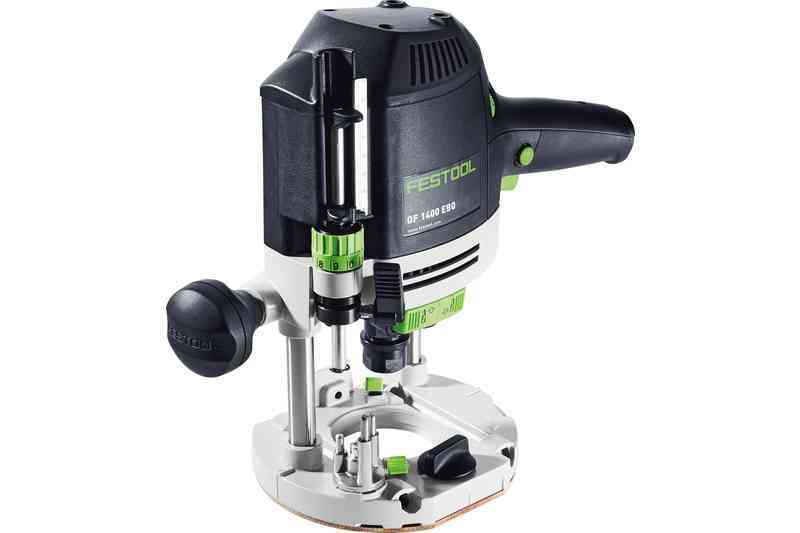 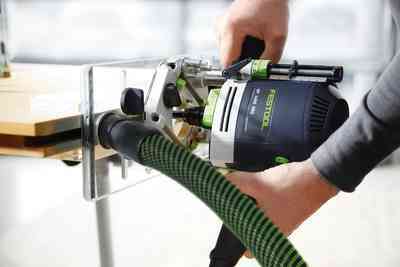 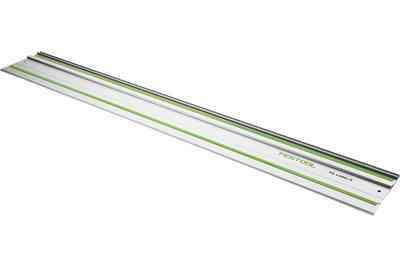 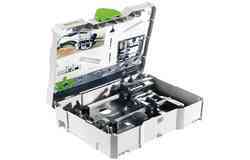 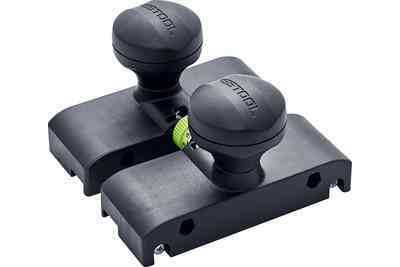 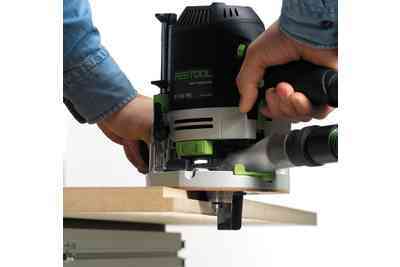 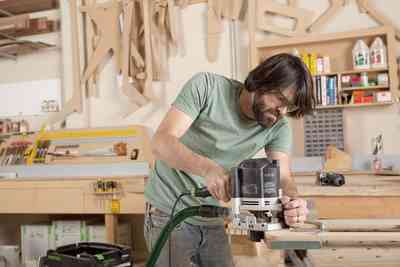 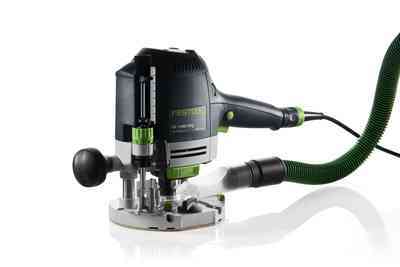 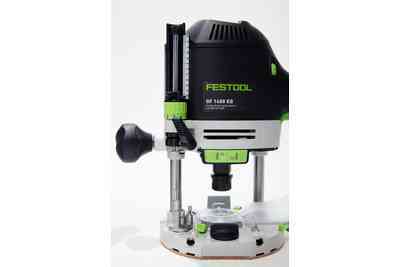 As with all Festool routers, the OF 1400 EQ has a center line indention on each side of the base. 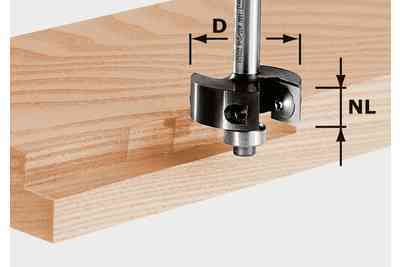 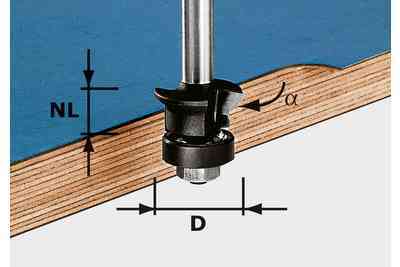 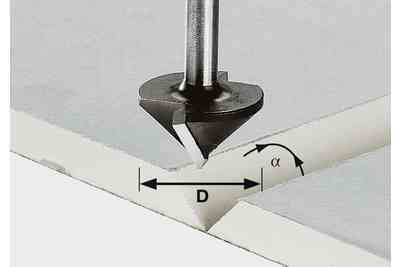 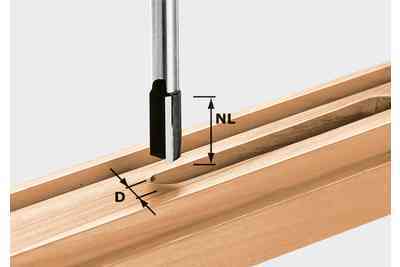 This visual reference point allows you to align the center of the bit with the cut line. 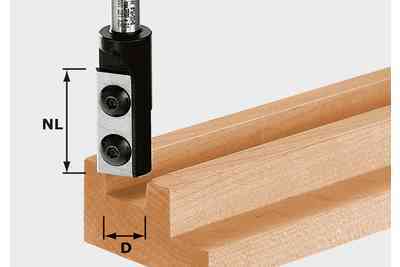 No more guessing where the center of the bit falls on your workpiece.